Do you enjoy camping and go out on trips often? You may be surprised at all the ways that a health tracker can make your excursions even better. Most campers are very active during their trips. A health tracker will monitor how many calories you burn during your excursion. While you are on your trip, you can monitor your activity level to make sure you are getting the exercise that you want and need. Even though you are out camping and having fun, you still need to be aware of your body and whether you are getting what you need to stay healthy. The right tracker will alert you if you are having a minor health crisis. For example, if you are out walking on the trails near the campground, your tracker can indicate when you need to take a short break and get a drink of water. If you have the right tracker, it will not take anything away from your camping trip. In fact, you can forget that you are even wearing it if you want! 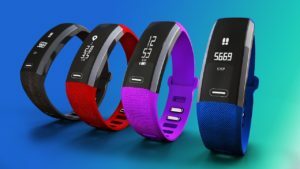 Health trackers do not provide a distraction from your daily activities. If you are like many campers, you have a number of goals that you would like to accomplish while you are on your trip. A good tracker can help you to achieve those goals but does not make it more difficult to attain them. And, best of all, you can get a good tracker at a great price if you do your research. Health trackers can ensure that you have the best camping trip possible. You may be surprised at all they can do! Therefore, these little tools are a great investment in your future. Search around to find a good tracker that will adequately meet your needs. PreviousPrevious post:Fun Campfire SongsNextNext post:Do Pets Need Sunscreen?